Manufacturer recommends changing these filters every 6 months. 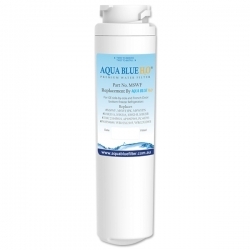 is a Compatible GE internal water filter Replacement. is a replacement cartridge for GE side-by-side refrigerators with a filter located in the back upper right corner of the refrigerator compartment. GE recommends replacement every 6 months. is manufactured by GE - General Electric (country of origin U.S.A.). Tested and Certified by NSF International against NSF/ANSI Standards 42 for the reduction of Chlorine Taste and Odour. As with all built-in refrigerator water filters, the MSWF does not remove Fluoride. 1. Turn the old cartridge left (counter clockwise). 2. Pull the filter out and discard (the water will shut off automatically). 3. Peel off the protective cover from the new cartridge. 4. Fill the replacement cartridge with water from the tap to allow for better flow from the dispenser immediately after installation. 5. Insert the new cartridge, lining up the arrow on the cartridge with the cartridge holder. 6. Slowly rotate the filter right (clockwise) until the filter carttidge stops. Do not over tighten. 7. Run water through the dispenser for 5 minutes to purge the system. 8. 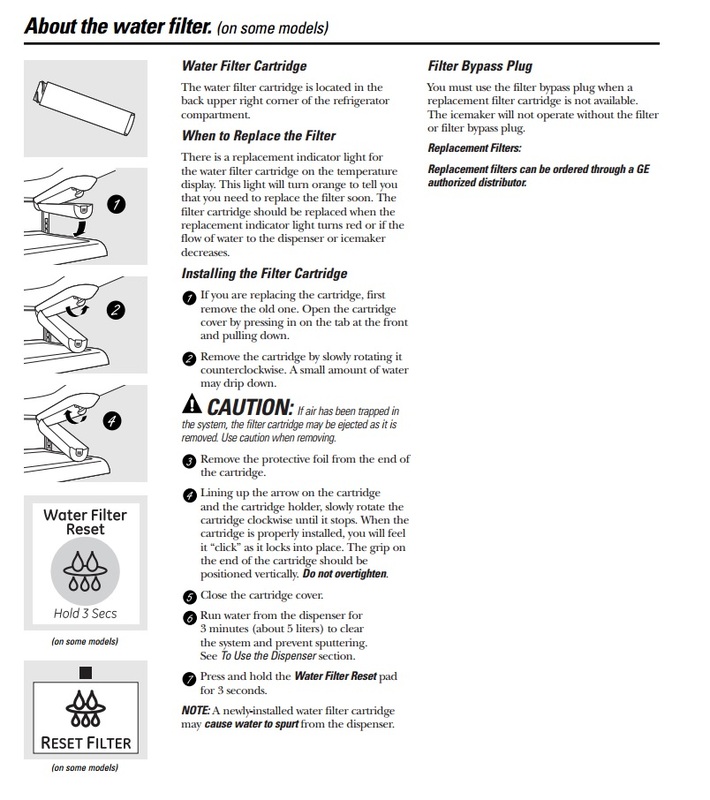 Reset the "change filter" indicator light by pressing and holding the Water Filter Reset button for 3 seconds.